After going up for pre-order earlier this month, the ZTE Blade V8 Pro is officially launching today. ZTE’s Blade V8 Pro is now available from retailers like B&H Photo Video and Newegg, as well as from ZTE’s own website, at a price of $229.98. Amazon expects to have units in stock on January 23. If you pre-ordered a unit sometime between January 4 and today, your device will now be shipped your way. As a refresher, the Blade V8 Pro features dual 13-megapixel rear cameras that can add a blurry, bokeh effect to your photos. 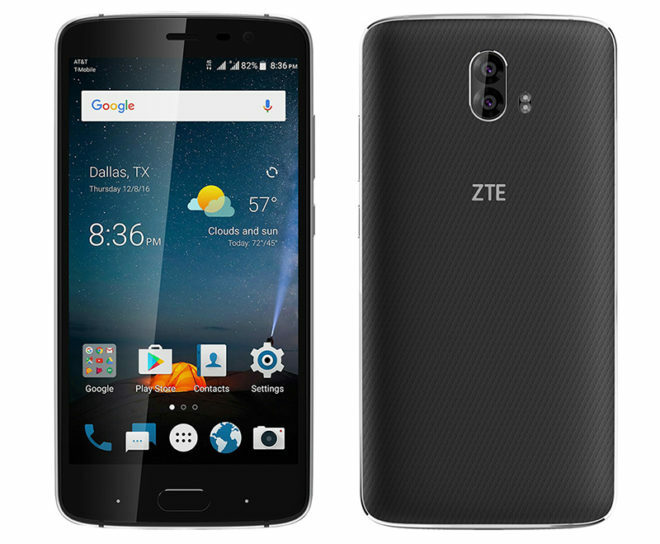 ZTE’s new smartphone also features an 8-megapixel camera around on its front. The rest of the ZTE Blade V8 Pro’s spec list includes a 5.5-inch 1920×1080 display, octa-core Snapdragon 625 processor, 3GB of RAM, 32GB of storage, a dual SIM slots (one of which also works as a microSD slot), and a front fingerprint reader. There’s a 3140mAh battery powering this whole package that you can recharge using a Quick Charge 2.0 charger. ZTE’s Blade V8 Pro is sold unlocked and supports GSM 850/900/1800/1900, UMTS 850/1900/AWS/2100, and LTE bands 2/4/5/7/12. ZTE has told me that there’s support for T-Mobile band 12 LTE and VoLTE included, but not Wi-Fi Calling. For a closer look at the ZTE Blade V8 Pro, you can visit one of the stores linked below. This is a quality upper mid-level phone. Very competent in lots of key areas. ZTE is a lot like Moto. Value purchase with some style & solid build. Only questions with ZTE is about updates frequency. Totally agree TechnoRealz, I’m enjoying my ZTE Zmax pro right now and now can’t wait to get my hands on the New ZTE Blades V8 Pro… Well actually getting 2 one for my Wife lol if she don’t get 1 I don’t get 1 lol Wife stays Happy!